Simply striking yet remarkably detailed. 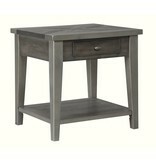 That’s the beauty of the Branbury end table. Its clean-lined profile is greatly enhanced by a dramatic tabletop with butterfly veneer layup. And the finish? 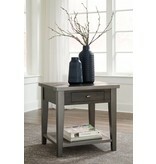 So complex in a rustic gray tone with hints of aged metallic. Unique oval shaped hardware on the smooth-gliding drawer rounds out the look. 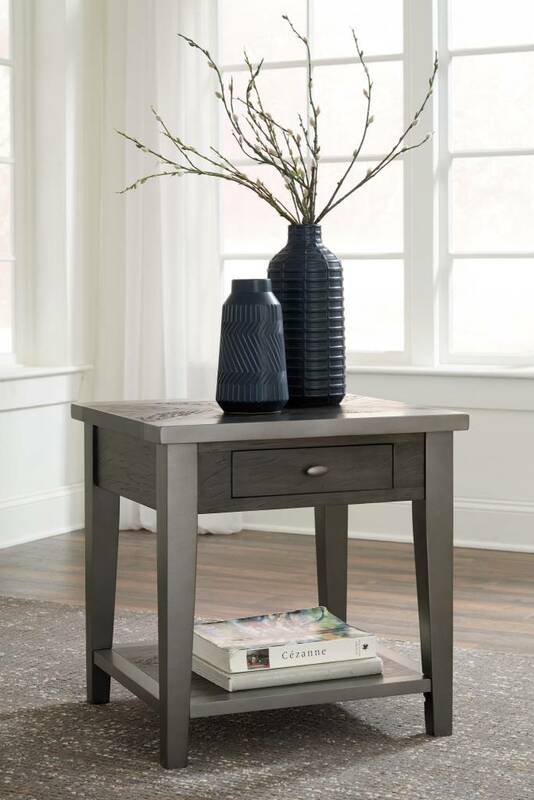 Two tone finish pairs a rustic gray wood with aged metallic silver color. Table top has butterfly veneer layup with breadboard ends, legs and shelf frame. Wood tone has a grayish brown color with textural effect. Bottom shelf for ample storage and display. Oval knob with a patinated silver finish. Drawers have a smooth operating glide system with sanded sealed interiors. French/English construction. 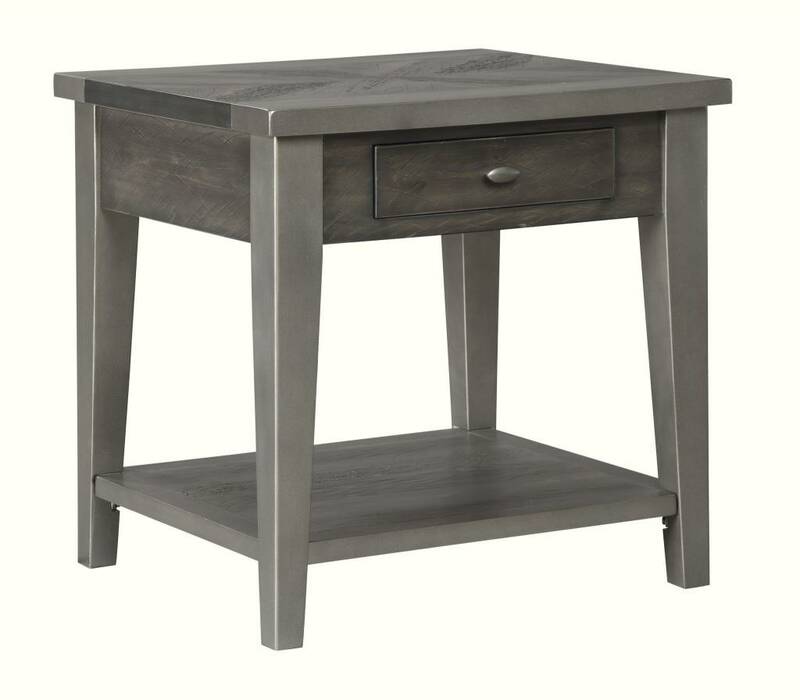 Cocktail table has casters for mobility.